We do not have the data to draw any conclusions on whether or not the Bologna Process has less effect on student participation today than before. 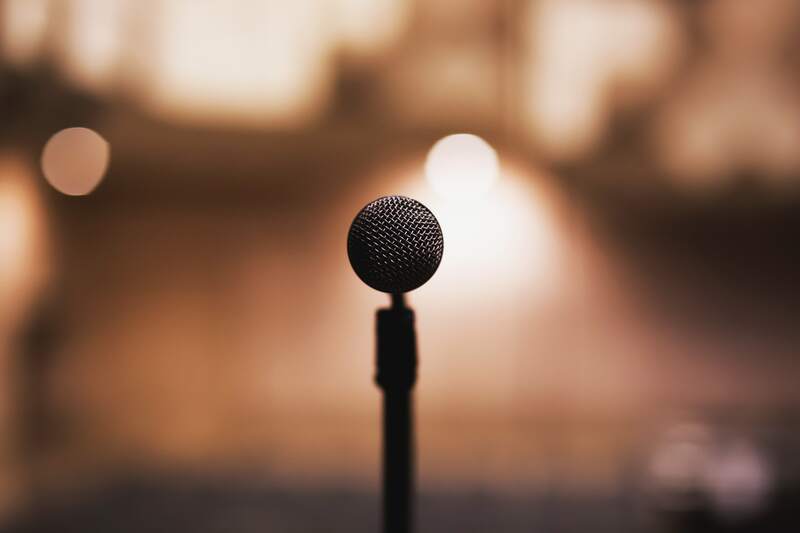 Contrafactual theorising is a risky exercise, so we should not hypothesise on whether or not it is the fundamental values that ensure today’s student participation in place. It might very well be that most countries have stretched themselves as far as they are willing to go to ensure the involvement of students, based on the government’s own interpretation of Bologna’s expectations and therefore new developments are not grounded in the process. 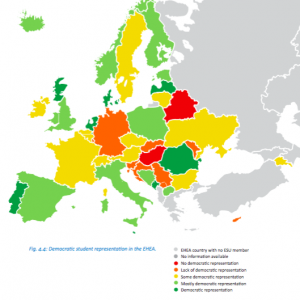 From a legal point of view, EHEA countries are doing well in ensuring some level of student participation, but often the portion of seats and votes are too low to provide students with any de facto influence of significance in the eyes of students. Ideally, student participation is to involve independent and democratic students’ unions at all levels of decision making. Figure 4.4 summarises this by combining the scores on the independence of students’ unions with the extent of involvement. As we can see, student participation varies vastly between EHEA countries, and often neighbouring countries differ substantially. Too many countries find themselves in the lowest bracket, but students’ unions do not always see the situation as equally harmful. For example, Hungarian students are mostly positive about their national arrangements even though they are amongst the lowest performers on students’ union independence. Cultural differences and nuances in what constitutes independence can possibly play a role. Students in Belarus are by far the most critical of their role in decision making, both in scores provided and responses to open questions. Here, participation is either non-existent or characterised by non-transparent selections and bans on students’ unions. Whether this can be improved by the country’s newly found membership in EHEA can serve as a litmus test on whether or not the Bologna Process plays a role in ensuring student participation.